Winter Property Preparations are essential and at this time of year, we find it helpful to give some advice to tenants and landlords to try to prevent burst pipes due to extreme weather conditions. Bursts often happen due to some tenants not being aware or duly diligent of “tenant duty to protect the property from frost damage” as per clauses in the tenancy agreement. Keep the heat on (* As per advice by homeserve). Keeping your home heated during a very cold snap is essential to prevent burst pipes. You can set your timer to constant or 24 hours and use your thermostat to maintain some warmth through the night and while you’re out. This doesn’t mean that you are blasting out heat unnecessarily as your thermostat will control it – it is often found to be a more cost effective way of heating your house rather than just having heat on high for a couple of hours. Remember – it is your responsibility to protect the property from frost damage. Check the boiler pressure on the boiler regularly – this is a preventative measure to assess if there is a leak. Report immediately if the pressure is dropping regularly. Ensure that the outside pipes are turned off at the stop tap if possible. Insulating them is also a preventative method. Keep your eye on gutters and drainpipes – should you see any overflow or collection of water, please report to Stuarts as soon as possible. Make sure you know where your stop tap is in the event of a burst and check regularly that you can turn it off easily in an emergency. It’s handy to label it so you remember where it is in a panic. The above noted fall under tenants’ responsibility, not the landlords and you may be charged for repairs if you have neglected to protect the property. If your property is on our full management service, we advise all current tenants of their responsibilities and to follow our winter preparations. If your property is under our full management service but currently empty, we will ensure that the heating is on during the winter period and lag pipes where applicable. Whilst we do this as a preventative method, Stuarts Property Services cannot be held responsible for any damage occurrence. As a landlord, it is your overall responsibility. Have you informed / updated Stuarts Property Services Ltd of your provider and level of cover information to keep on file? 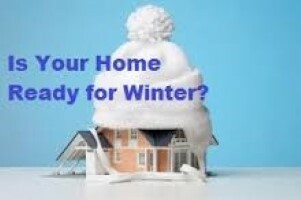 Is the property prepared for a cold winter? Does your insurance protect you in the event of a problem? * Does the property /properties that you let have contents insurance? – The fixtures and fittings such as carpets, fitted wardrobes, kitchen units may come under this section of your insurance and in the event of a flood or water damage you may not be covered – it is always advisable to check! * Do you have landlord liability insurance with your current provider? During the festive season of Christmas and New Year, We have some closure days – these are noted on our contact us page. Should you find that our offices are closed and you have an emergency, go to our Emergency Contact page to find our emergency contractor details. You can also leave a message out of hours on our answering machine if we are not available; remote access to the telephones to attend to any emergencies is also conducted sporadically. Please be aware that if your call out to the property is not deemed as an emergency by our contractors then you will be charged for the call out. Please therefore assess the situation before calling out our engineers. Why an Apprenticeship? Letting Fees Ban – To be or not to be?